Professional Mountain Guide, international mountain experts. Who is a professional mountain guide? A Mountain Guide is someone with the IFMGA carnet, the highest qualification in the world for leading people in the mountains, whether skiing, climbing or mountaineering. Mountain Guides come in many shapes and sizes – the one thing they have in common is their passion for the mountains. Wherever they live and work, they will have a mass of experience, from rock climbing, mountaineering and skiing all over the Alps, and experience of difficult climbs and remote mountains in other ranges around the world. A Mountain Guide’s mountaineering background is consolidated with a rigorous training and assessment course lasting up to 5 years, with an apprenticeship period working alongside experienced Mountain Guides for 2 years before being finally certified to lead people in the mountains. Regular professional development training keeps Mountain Guides up to date with the latest techniques and standards. In short, Mountain Guides are international mountain experts. Qualifying as a Mountain Guide is a demanding and rewarding process. It is a tough route, but worth it because it is, quite simply, the best job in the world! In a minimum of 3 years an already highly experienced mountaineer and skier turns into an expert capable of looking after people anywhere in the mountains. The experience required even to start the training scheme needs both breadth and depth: high standard on rock, experience of top alpine grandes courses, solid competence skiing any snow in a mountain environment. As far back as the 15th century, the Venetian Republic hired and paid the local mountaineers to accompany the official mapmakers through the Dolimites to trace the Austrian-Venetian border. Later, in 1865, the Austrian state officially authorised the discipline of Alpine Guide. The use of the “Libretto Guida Alpina” (Guide’s booklet) was introduced then, upon which the rich gentlemen of the time could write their opinions and comments on their climbs and on the Guide that accompanied them. The recognition of the profession of Alpine Guide was the result of the success of the first explorers of the Dolomites: the Englishman J.Ball and his ascent of Mt. Pelmo in 1857; the Viennese Paul Grohmann and his systematic attack of all of the dolomite peaks beginning in 1860. These first explorers were often accompanied by the local mountain-goat hunters , traditionally the true experts of the steep and dangerous mountain routes, and together can be considered the forefathers of the modern mountain guide. 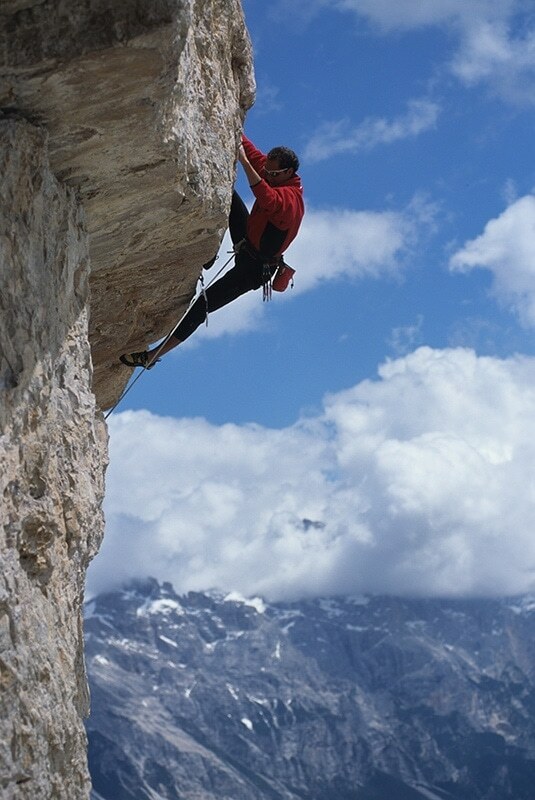 Cortina (under Austrian rule until 1918) already in 1871 counted 9 official mountain guides. Thanks to these first guides Cortina became famous all through northern Europe as one of the most extraordinary centers for mountain climbing. Some of the best remembered names from that period are: the Hungarian barons Von Eotvos, Albert the king of Belgium and Teodoro Wundt, guided by the famous cortinesi Agostino Verzi, Antonio Dimai and Angelo Dibona (famous not only for his ascents in the dolomites, but also throughout France and the western alps). Experience, patience, sense of responsibility and sharing, passion for the environment and the mountain peaks. These are the main requirements of a mountain guide doc.